Is Ukraine on the Brink of Tragedy? The country’s troubles will not end even if fighting ceases in its southeastern regions. As the military conflict in Ukraine’s Donbas continues, the ultimate outcome remains far from certain. 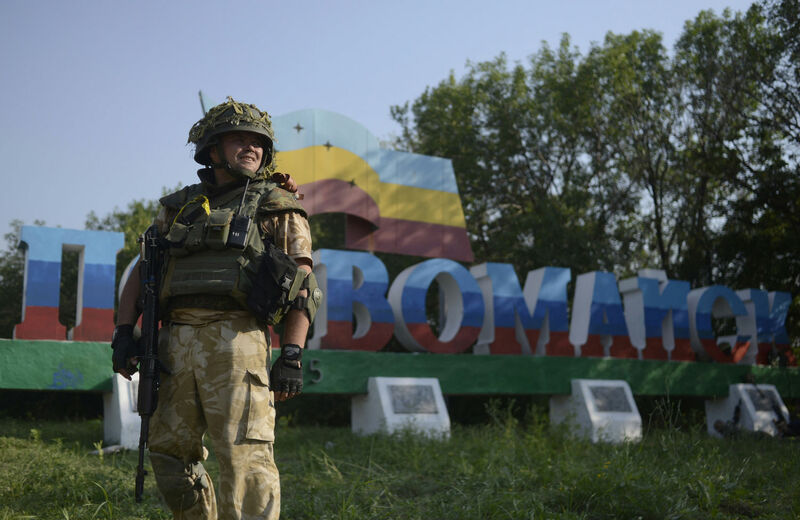 For weeks, the industrial region’s pro-Russian rebels appeared to be facing imminent defeat by Kiev. Recently, however, they have launched a counteroffensive, retaking cities that they lost earlier. Kiev immediately blamed the rebels’ success on direct intervention from Moscow, including troops and weapons. For its part, Moscow dismissed the charges, citing a lack of evidence and pointing to the rebels’ use of Soviet-era weapons, which are readily available in Ukraine. As of now, fierce fighting continues. Meanwhile, both in Moscow and in the West, there are differing views on what might happen if Kiev manages to defeat the rebels. To some in Moscow, the defeat of the rebels means the defeat of Russia. They argue that if Kiev succeeds in taking the Donbas, it will be only a matter of time before the whole of Ukraine will be in NATO, with the prospect of a possible military campaign to seize Crimea, recently annexed by Russia. By contrast, many in Washington and in the European Union view a potential victory over the Donbas rebels as a “victory for democracy” and for Ukraine’s “European choice” and integration with the West. Are these views accurate? Will Russia really lose out geopolitically if Kiev defeats the rebels? Would this really be a victory for Washington and the West? Would Ukraine become a stable, democratic, and economically flourishing part of the US-led Western community? In reality, even if Kiev manages to defeat the rebels and re-establish its control over its rebellious southeastern regions, it will still face many more daunting challenges. First and foremost, the vast majority of people living in Russian-speaking southeastern Ukraine (many of whom did not support the rebels) will still view Kiev with distrust and as a “coup government.” This includes the Black Sea port city of Odessa, a town renowned for its quick wit and humor, where the wounds of the May 2 massacre, which saw dozens of pro-Russian protesters burned to death, have not yet fully healed. Additionally, if the government persists in imposing painful IMF-sponsored economic austerity “reforms,” it will turn not only the entire southeast but also the linguistically mixed Central Ukraine against Kiev. Yet the situation will likely be most challenging for Kiev in the Donbas itself where,for months, civilians have faced near-constant shellings, bombardments, deprivations and atrocities. Many of the region’s residents have fled, mostly to Russia but also to safer regions in Ukraine. According to the United Nations, nearly a million Ukrainians have fled to Russia since the Ukraine crisis began, mostly from the Donbas, though it also includes Ukrainians from other parts of the country who left following the Maidan protests earlier this year. There are also the bombed-out towns like Slavyansk, the remnants of the “anti-terrorist” assault. It will be difficult for Kiev to supply energy both to its own country and to Europe as the long, cold winter approaches. How will it supply a city like Slavyansk, where the infrastructure has been virtually bombed into oblivion? It is doubtful that anyone would want to stay in a bombed-out shell of a building during a freezing cold winter, especially a family. Furthermore, despite the suggestions by US State Department officials and the US political elite to the contrary, the West can realistically go only so far in supporting the situation it helped to create. It will quickly discover that there are neither the resources nor the funds to continue supporting Kiev. Even if the West could find the funds, they would almost certainly be misused or stolen by Ukraine’s notoriously corrupt political elite. For Ukrainian supporters of the Maidan Revolution, the reality of the corrupt Ukrainian political elite is likely to soon set in again. In addition to painful economic reforms demanded by the IMF, it is unlikely that there will be any major anti-corruption effort or attempt to pay off the government’s staggering debt. Indeed, Ukraine’s finances are dwindling quickly. The country is fast headed toward a total economic collapse. Simply put, there will not be any money left. Given this, the disappointment with Maidan and the government it produced may well come more quickly than did disillusionment with Ukraine’s 2004 Orange Revolution. Once the sheer magnitude of Ukraine’s problems hits the population at large, it likely will turn a critical mass against Kiev. Therefore, while it may seem to some in Moscow that a defeat of the rebels would signal the “defeat of Russia,” in reality the situation may turn out to be in Moscow’s favor, regardless of whether or not Kiev takes the Donbas. It is difficult to imagine Kiev or any government surviving when faced with such serious issues as widespread poverty, runaway debt, bankrupt finances, rampant corruption, increasing inflation, rising unemployment and the specter of harsh austerity. However, then the question becomes: Until these realities begin to set in on both sides, how much more suffering will the Ukrainian people have to endure? After all, the greatest tragedy of the Ukraine crisis is that when future historians look back at all the damage that has been done by this conflict—the deaths, the divided families, the refugees, the destroyed cities, the severed economic links, the ruined diplomatic ties—they will no doubt ask, as have historians of other unnecessary wars: Was it really worth it? We may already know the answer. Pietro A. ShakarianPietro A. Shakarian is a PhD candidate in Russian history at Ohio State University in Columbus.